This robust porter was brewed with coffee beans from Muggsy, a local roaster in St. Cloud, Minnesota. The Sumatra beans were cold pressed into a sweet concentrate, then combined with our roasted, chocolate malts producing a big blend you’ll soon be buzzing about. 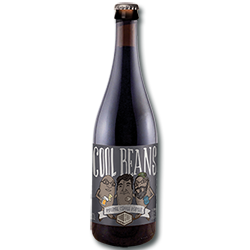 Cool Beans exhibits a rich dark brown color, a bold coffee aroma and a smooth roasted flavor. We call it Cool Beans but you’ll call this cool-laberation warm and fuzzy deliciousness. "Beer Description" content and image are the property of Third Street Brewhouse and are used for informational purposes only.